When I’m not out looking for a new subject to blog about, I work at a small, family-owned grocery store. I’m one of those people that gets amazed at the little things in life, and the fact that I get to play with fruits and vegetables all day long makes me happy. Rarely will I get excited about an apple, an orange or an onion, but once in a while a new, cool looking variety pops up and I’m back to being a kid again. 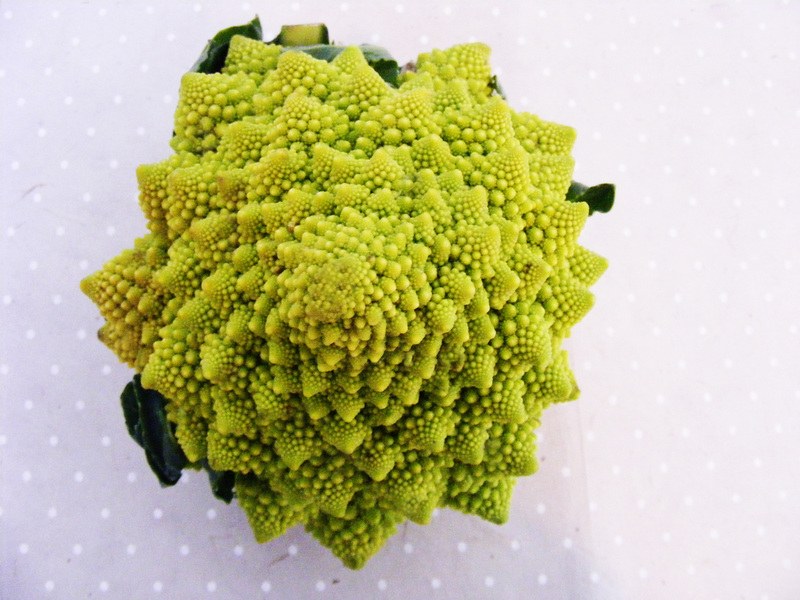 The romanesco broccoli is one of those vegetables that amazes me. 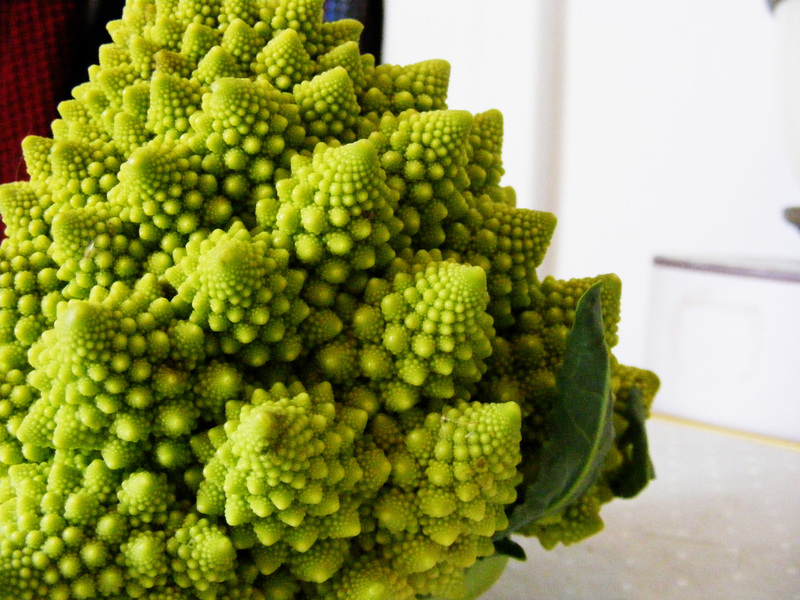 I first saw a romanesco broccoli in a book called Pour en finir avec la cuisine de mémé (In english : Down with boring old food! Inventive little recipes for the 21st century) by Raphaele Vidaling. Taste-wise, it has been compared to a mix between a regular cauliflower and a broccoli. It was first discovered in Italy, hence the name. This entry was posted in The Kitchen and tagged blog, cooking, food, food photography, photography, romanesco cauliflower on 25 November 2012 by lapetitelea. La nature a de ses tours dans son sac pour nous émerveiller ! C’est du grand art. Made this last night for my grand-son. Very simple recipe. I put it in the oven. Olive oil, salt and pepper. That was it. It was so good. He ate 80% of it by himself. I got about 5 florets out of the whole bunch. This is definitely a keeper. It was so good. He took what was left, wrapped it up himself and took it home. Wow! Now, I need another one for myself and 1 more for hubby. I’m not sharing. I’m serious. I’m not. Put in oven on 350 for one hour. Perfection.